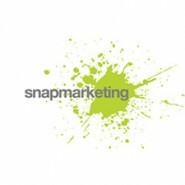 “I can fully recommend Snap and their services. Debbi Young understood my requirements/needs and historically I knew she could deliver. Their work covers a range of disciplines, but there’s always one common thread: their belief in building strong and lasting partnerships with their clients. They invest time and effort in making sure they really do understand your products, customers and markets. This understanding is behind our whole approach to design. It transforms their thinking and enables them to create powerful, effective communications which genuinely support our brand – in both print and new media. This is where their approach to client relationships is crucial. Because they have a deep understanding of your products, customers and markets, they know almost instinctively what is appropriate for your brand. And that’s how they develop original and relevant communications that create a real impact – through ideas that focus on achieving our specific, unique objectives. Debbi Young has been professional, efficient and courteous at all times. Lisa Cannings, MD Abbey – Antiques & Furnishings Ltd.